5 years after expulsion, Nature Preservation Society’s objection to Negev community for the Jewish residents expelled from Gaza is accepted. Israel’s Southern District Committee decided during its last meeting, which was held several days ago, to shelve plans to establish a community called Nitzanit in the Negev, for Jewish residents of Gaza who were expelled from their homes in 2005. 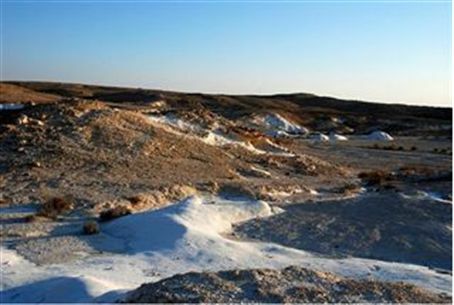 The new community was supposed to be built in Pitchat Nitzana, a block of communities located in southern Israel near the border with Egypt. The plans were cancelled after an objection, submitted by the Nature Preservation Society together with the Bimkom NGO and residents of the area, was accepted by the committee. The committee determined that the plan that was presented for Nitzanit did not speak about expanding an existing community but rather about establishing a new one. According to the committee, this would require an examination of the long-term effects and impact that a new community would have on the area. The study will examine alternative locations for the new community and the Environment Ministry has been instructed to prepare guidelines for the study. The committee also determined that the public should be allowed to be part of the planning process right from the beginning. It was decided that a steering committee will be established, to which the regional committee members as well as local residents will be invited. The role of the steering committee will be to examine alternative locations for Nitzanit after the examination report is complete. In the objection it presented to the establishment of Nitzanit, the Nature Preservation Society said that it opposes the proposed location of the community, since it believes there is no place for additional communities to be built in the area and that the existing communities in Nitzana must be strengthened. The Nature Preservation Society also said that the area contains landscape and animals, some of which are rare species and added that there is a chance that endangered species might also be found in the area. The 2005 Gaza expulsion left thousands of former Gaza residents without permanent homes and without employment. Some of Israel’s prominent leaders who took an active part in approving and executing the expulsion have since gone on record saying that it was a mistake. One such leader is President Shimon Peres, who has confessed that the “Disengagement” was a mistake in the way it was executed. National Infrastructures Minister Binyamin Ben-Eliezer of Labor has also admitted that the expulsion should not have been carried out at all. Even parliamentarians from across Europe who visited the Gush Katif Museum in Jerusalem during a trip to Israel this week, said that the “Disengagement” had been a mistake, commenting that the one-sided move was seen by radical Islamists as a victory for their ideology.